Spike TV’s hit original series, “1000 Ways To Die,” will now be showcased in a graphic novel, it was announced today by Sharon Levy, executive vice president, original series, Spike TV, Thom Beers, Chief Executive Officer and Executive Producer of Original Productions and Ralph Tedesco, Editor-In-Chief, Zenescope Entertainment. The first ever graphic novel adaptation of a Spike TV show will be produced by Tedesco and Zenescope Entertainment, one of the most recognized independent comic book and graphic novel publishers in the world behind such titles as “Grimm Fairy Tales,” “SE7EN,” and “Return To Wonderland.” Currently in its third season, “1000 Ways To Die,” created by Thom Beers, is one of the highest-rated original series on Spike TV and most-viewed series on Spike.com. The 200-page “1000 Ways To Die” graphic novel will be available in comic stores throughout the U.S. this fall to coincide with new original episodes. “We’re definitely very excited to be working with the crew over at Spike. 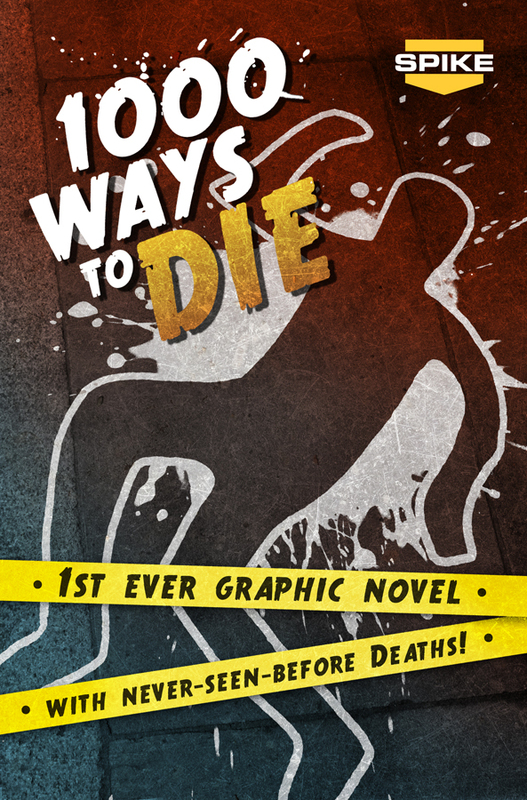 Our brands fit extremely well together and “1000 Ways To Die” is a phenomenal property to bring into the world of graphic novels,” said Tedesco. “We’re thrilled to add another platform to one of the network’s most successful franchises, which is already a hit on television and online,” said Levy. “A graphic novel is a fantastic vehicle to expand the “1,000 Ways To Die” signature, and a perfect collaboration between Spike TV, Original Productions and Zenescope”, said Beers.“1000 Ways to Die” showcases some of the most outrageous true stories about those who succumbed to the grim reaper in the most unorthodox of styles. Each case takes viewers through a fast-paced full reenactment interlaced with dramatic witness testimonials, fun historical tidbits, scientific expert explanations and vibrant CGI effects reminiscent of classic comic books. Playing off the commonly misconceived notion, “that could never happen to me,” “1000 Ways to Die” works to dispel the myth in a tongue-in-cheek fashion, highlighting the comedic irony in all the crazy ways people can get themselves killed. 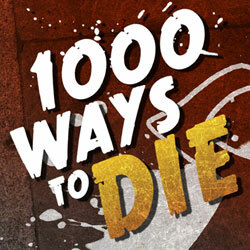 “1000 Ways to Die” comes from renowned producer Thom Beers’ Original Productions, a FremantleMedia Company. Spike TV is available in 99.4 million homes and is a division of MTV Networks. A unit of Viacom (NYSE: VIA, VIA.B), MTV Networks is one of the world’s leading creators of programming and content across all media platforms. Spike TV’s Internet address is www.spike.com and for up-to-the-minute and archival press information and photographs, visit Spike TV’s press site at http://www.spike.com/press. Follow us on Twitter @spiketvpr for the latest in breaking news updates, behind-the-scenes information and photos. Founded by Thom Beers, Original Productions, a FremantleMedia Company, produces authentic non-fiction programming featuring everyday heroes in extraordinary situations including Emmy® Award winning Deadliest Catch, Ice Road Truckers, Ax Men, Black Gold, and Coal. A respected powerhouse in unscripted reality television, Original Productions has produced more than 1,200 hours of original programming with 14 series currently airing on seven US television networks. www.origprod.com, www.fremantlemedia.com. 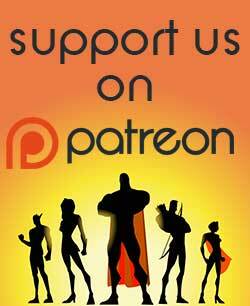 Zenescope Entertainment was founded by Joe Brusha and Ralph Tedesco in 2005 and has quickly grown into one of the top comic book and graphic novel publishing companies in the world. Zenescope’s Grimm Fairy Tales and subsequent spinoff series such as Escape From Wonderland, Neverland and The Piper, which put a dark twist on classic fables, are some of the best-selling and longest running original independent comic books on shelves today. 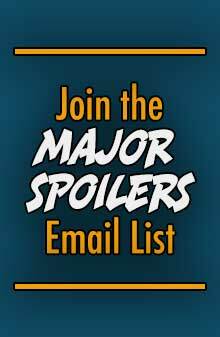 Zenescope’s licensed titles include the on-going, critically acclaimed Charmed series, based off of the long-running popular television series, as well as Se7en and Final Destination, based off of New Line Cinema’s successful film franchises. 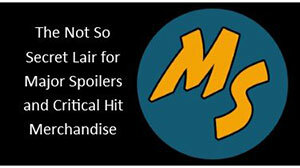 You can find Zenescope on the web at www.zenescope.com, www.facebook.com/zenescope and follow them on Twitter @Zenescope . Rush is making a comic book! 1000 ways to fill a block in your air time. 1000 ways to motivate anyone with a brain to change the channel.